In Sydney I started to drink coffee again. 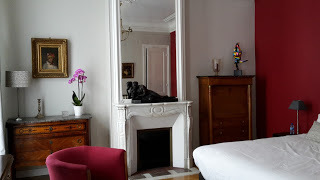 This happens when you are working hard in a vibrant environment, since you are always on the move and so you are happy, and want more happy drinks; caffeine. 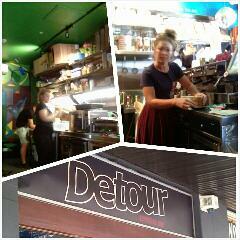 Detour is definitely a place to get a drink and be happy, because the service is so friendly! They serve a glass of water to all those waiting for their coffee. That's top service. It's a small place, and cash only please. Go and get some happiness.